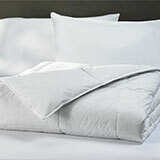 Sumptuous Sonesta linens are essential for starting and ending your day in comfort. 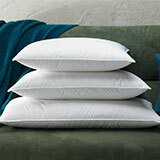 We’ve crafted a stunning collection of cotton sheets and pillowcases in soft, buttery smooth thread counts. Refresh your bed’s style with a patterned Sonesta flat sheet or enjoy the classic look and feel of the crisp, solid white linens. Elevate your sleep experience from routine to dreamy. 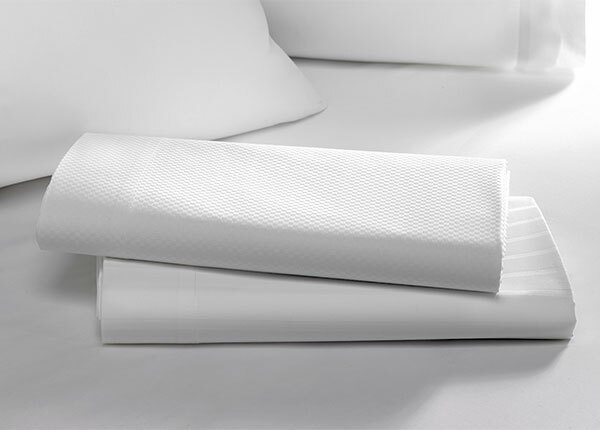 To recreate the crisp, refined look of a Sonesta Bed, you simply can’t go wrong with classic, solid white Sonesta pillowcases. 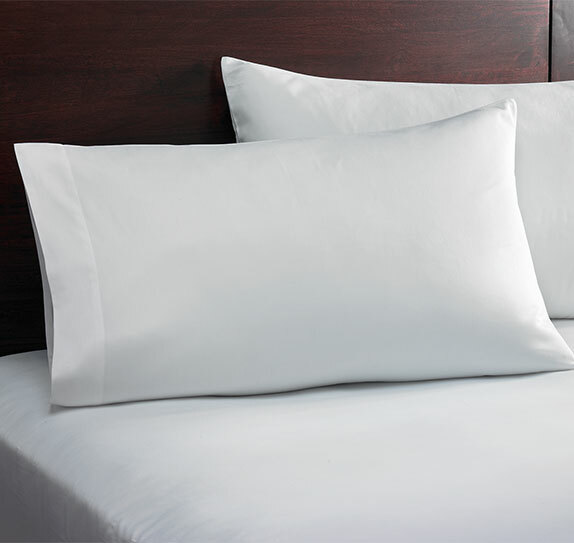 Always in style and endlessly versatile, rest comfortably against the same sumptuous 300 thread count cotton pillowcases enjoyed by Sonesta Hotel guests. Sweet dreams are just around the corner. Sold in a pair. A classic white Sonesta fitted sheet never goes out of style. This versatile linen, crafted of smooth 300 thread count Egyptian cotton sateen, looks especially chic paired with our striped or checkered Sonesta flat sheet. Night after night, you’ll look forward to drifting off to sleep in the same bedding enjoyed in Sonesta Hotels. Refresh the look of your Sonesta Bed by pairing solid and patterned linens. 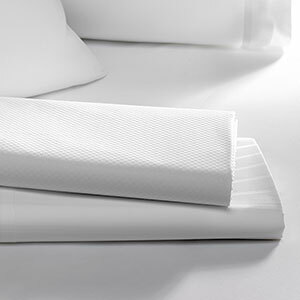 The same striped flat sheet enjoyed by Sonesta Hotel guests is made of sumptuous 100% Egyptian cotton sateen. Its charming pattern of graphic white-on-white stripes in alternating widths is perfectly suited for both modern and classic interior styles. Artistic expression is found in every detail of your Sonesta Hotel experience. 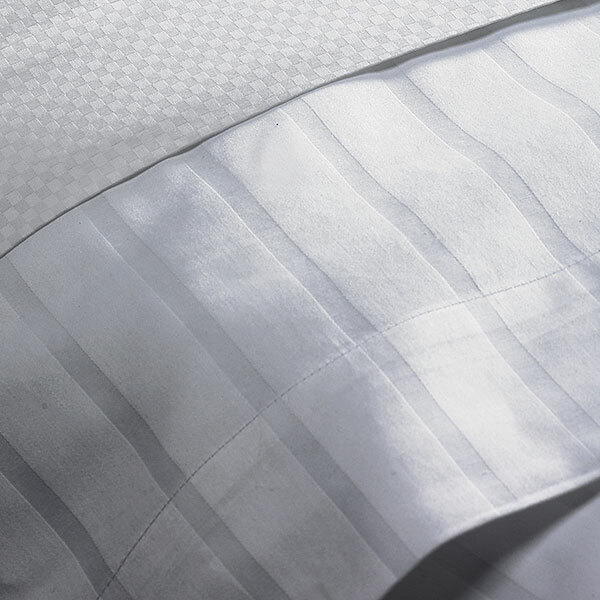 Imitate our modern style by pairing the checkered Sonesta flat sheet with our white Sonesta fitted sheet. 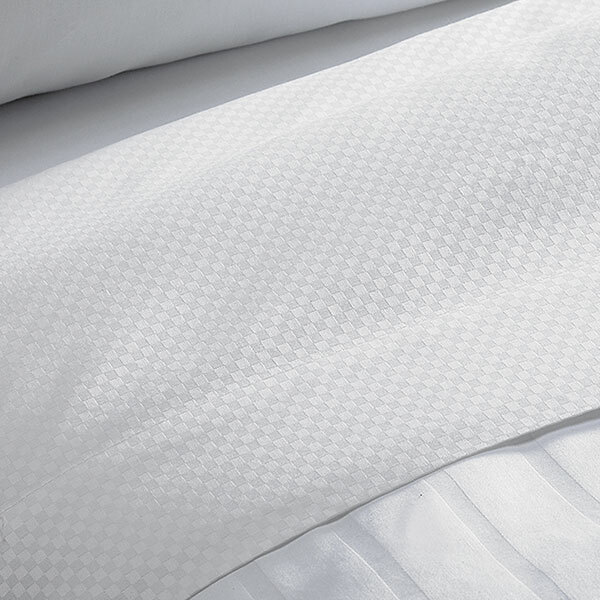 Whether your interior style is classic or contemporary, the white mini-check pattern and the smooth feel of 320 thread count cotton sateen is a dreamy addition to your Sonesta linens collection.